Gary L. Doster, a native of Athens, Georgia, is the author of From Abbeville to Zebulon, Early Post Card Views of Georgia and A Post Card History of Athens, Georgia. He is also the author of six other Georgia history books. He is a certified wildlife biologist and has worked for the Southeastern Cooperative Wildlife Disease Study at the University of Georgia since 1965. 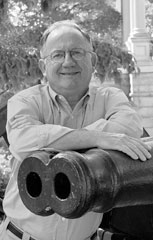 Gary L. Doster has a lifelong interest in Georgia history and has ancestors from Oglethorpe County, Georgia, dating back to the 1790′s. He is married to the former Faye Ann Thomas of Oconee County, Georgia. Tuesday, September 27, 2011 – Lexington, GA – Monthly meeting of Historic Oglethorpe, Inc. 7:30 p.m. Downstairs in the County Commissioners’ Building on Main Street (next to the tag office). 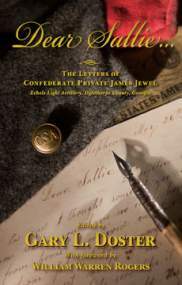 Sunday, October 2, 2011 – Lexington, GA – Presentation at 4 p.m. at Oglethorpe County Library [ Hwy 78]. Caravan from library at 5 p.m. to Jewel family homesite and cemetery on Bull Bray Road to visit gravesite of Sallie Jewel and her family. Thursday, October 6, 2011 – Watkinsville, GA – Monthly meeting of the T.R.R. Cobb Camp Sons of Confederate Veterans, 7:30 p.m., Watkinsville Community Center, VFW Drive. Tuesday, October 11, 2011 – Tallahassee, FL – Monthly meeting of Finley’s Brigade, Camp 1614, Sons of Confederate Veterans at Gold Corral Restaurant, 1630 N. Monroe Street at 6:30 pm. Wednesday, October 26, 2011 – Athens, GA – UGA Bookstore, 3 p.m. UGA Faculty & Staff Authors Reception sponsored by UGA Alumni Association and UGA Bookstore.